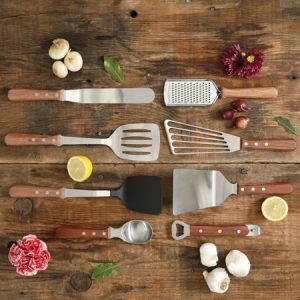 The Pioneer Woman Fall Sale All in One Tool and Gadgets, Set of 8 for only $16.97 !!! reg price $44 !!! Awesome deal for these , The Pioneer Woman Fall Sale All in One Tool and Gadgets, Set of 8 for only $16.97 !!! reg price $44 !!! Intex Deluxe Raised Pillow Rest Air Mattress Bed with Built-In Air Pump, Queen for just $59.99 + FREE Shipping !!! reg price $120 !!! Too Faced Bronzed and Flawless 3-piece Complexion thats only $55 + FREE shipping !!! reg price $84!! Etekcity Remote Control Outlet Wireless Light Switch for Household Appliances , Plug and Go, Up to 100 ft. Range, FCC ETL Listed, White for just $16.98 !!!! reg price $37 !!! The Pioneer Woman Fall Sale 13oz Assorted Round Containers, Set of 6 for $6.79 !!! reg price $18 !!! The Pioneer Woman Flea Market Mini Floral Cupcake Stand with Lid for just $8.97 !! reg price $15 !! !